The makers of the Oscar-winning movie The Hurt Locker have filed a lawsuit targeting at least 24,583 people alleged to have downloaded the film illegally using BitTorrent. Voltage Pictures, the company behind the Kathryn Bigelow war picture, had already begun litigation against 5,000 BitTorrent users, but that figure has now shot up by almost 20,000. The company will be looking to recoup losses from each torrenter; settling out of court generally sees the defendant paying $2,000 - $3,000 each. If all 24,583 can be persuaded to settle, that's a minimum of $49,166,000 in Voltage's pocket (£30,400,882.06). 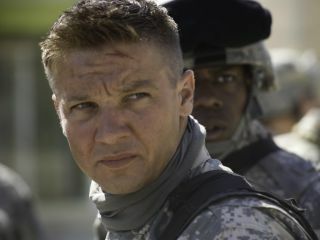 It's no great surprise that The Hurt Locker makers are so keen on the legal action, after producer Nicolas Chartier sent a heated email to a reader defending the lawsuits. As well as winning more Academy awards than The Expendables, The Hurt Locker has now also taken the title of most file-sharers targeted in one law suit from the Sly Stallone action flick. Just a couple of weeks ago, the people behind The Expendables took action against around 23,000 file sharers which was, at the time, a record. Judge Beryl Howell, who is residing over The Hurt Locker case, is yet to decide whether Voltage is allowed to go ahead with the case, but if we'd torrented it, we'd be starting to feel a little hot under the collar right about now. Still, at least The Hurt Locker defendants don't have to admit to having watched The Expendables. Small mercies.